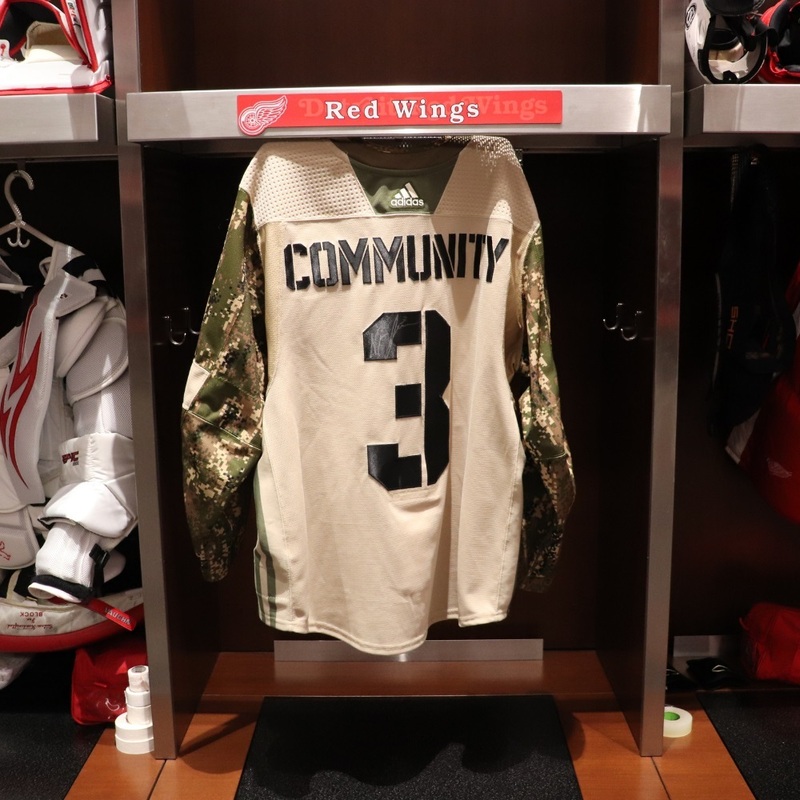 Fans can bid on this authentic camo "Community" jersey and stick used by Nick Jensen (#3) during pregame warm-ups for the Red Wings' Military Appreciation Night (1/15/19). 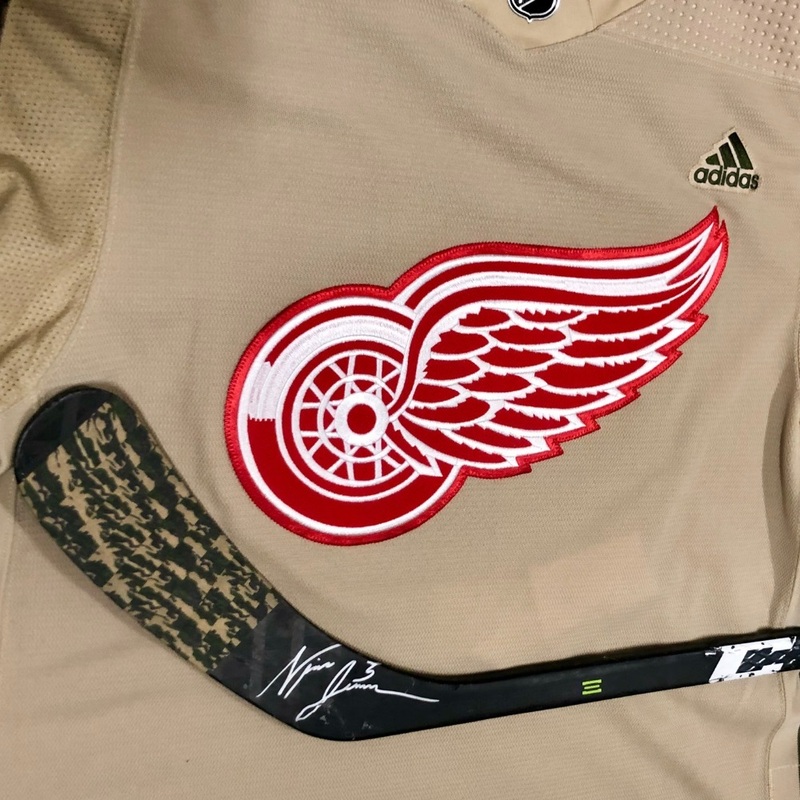 Both the jersey and stick are autographed. Proceeds will benefit the Volunteers of America Michigan's Supportive Services for Veteran Families program and facility. 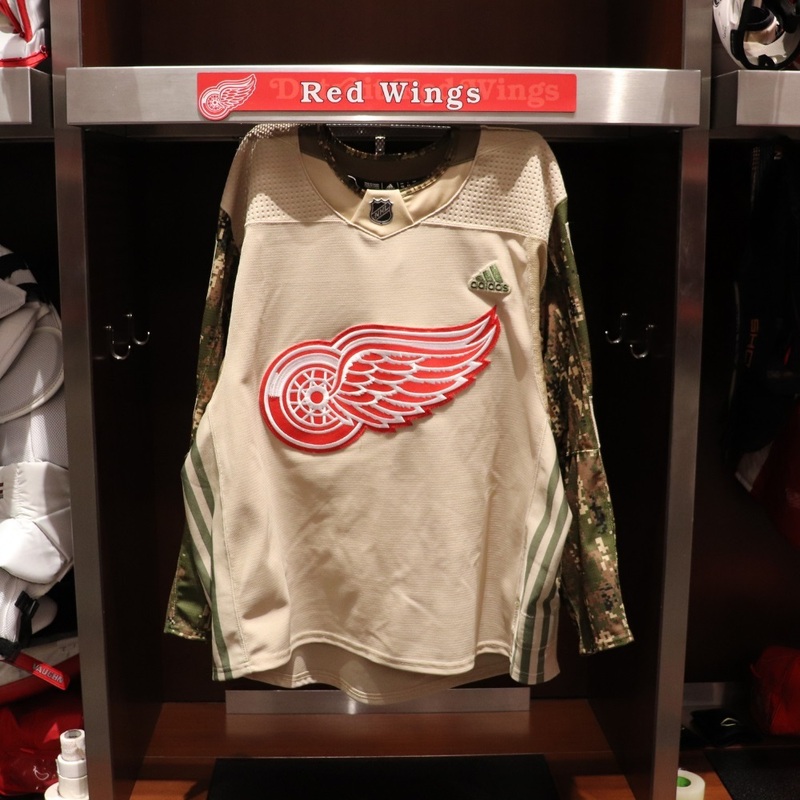 Please Note: If the player does not participate warm-ups during Military Appreciation Night, the winner will be given an authentic warm-up issued jersey and stick.